I believe that retiring retroactively is something like shaking away his position at Bain on an Etch-A-Sketch. Retiring retroactively probably does make sense to someone like Romney who has practiced baptizing the dead. George Bush is kicking himself for never thinking to say he quit the Air National Guard retroactively. In other bad news for Romney, numerous conservative politicians and pundits (including Bill Kristol, George Will and Matthew Dowd) are calling on him to release his income tax returns. There is speculation that John McCain might have chosen Sarah Palin after seeing what is in Romney’s tax returns. We don’t know if there is anything criminal in those old returns. My bet is that, at very least, they will show a pattern of tax avoidance which resulted in a tax rate far closer to zero than the 15 percent he has admitted to. Barack Obama continues to refuse to a apologize to Mitt Romney for telling the truth about him. It’s official: Season Five will take place in the future we saw in the episode “Letters of Transit,” where the Observers have taken over and the Fringe team, after being encased in amber for 20 years, is freed by Henrietta “Etta” Bishop, Peter and Olivia’s daughter (played by Georgina Haig) and Simon Foster (Henry Ian Cusick). We saw the proof-of-concept reel that the production team made as a pitch to the network, featuring the Fringe team, Leonard Nimoy’s William Bell, our new FBI agents, and plenty of Observers. Walter delights in firing some futuristic weapons; Olivia says that Etta is “Everything I ever hoped for;” Peter says, “Let’s create some Fringe events of our own.” At one point, Walter, looking up from his research in a much more brightly lit lab than we’re used to seeing, says, “I know how to get rid of the Observers.” At the end of the reel, Walter sets, and an Observer happens upon, what appears to be an antimatter bomb. Executive producer J. H. Wyman revealed that Season Five picks up the day after “Letters in Transit.” We’ll learn much more about the Observers, who may not be as bad as we think. When asked if we’ll see any female Observers this season, Wyman replied that we’ll get the answer to that question fairly early on, and “the reason will become apparent.” He also announced that an Observer book is in the works, exploring the series from September’s point of view. We’ll learn about his feelings and views on the characters, and we may be surprised. 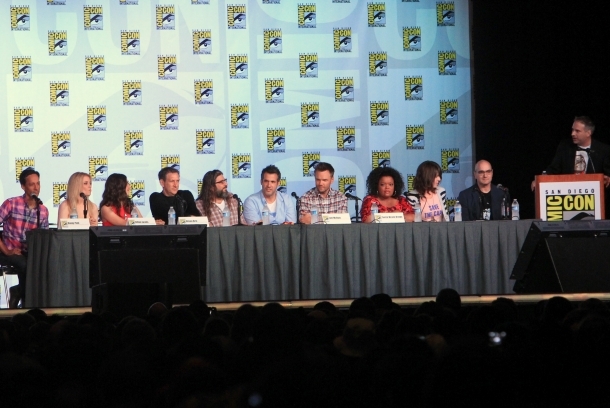 The actors spent much of the panel reflecting on the last four seasons. Jasika Nicole expressed immense relief that her character hasn’t been killed off, a fate she’s feared from the beginning. 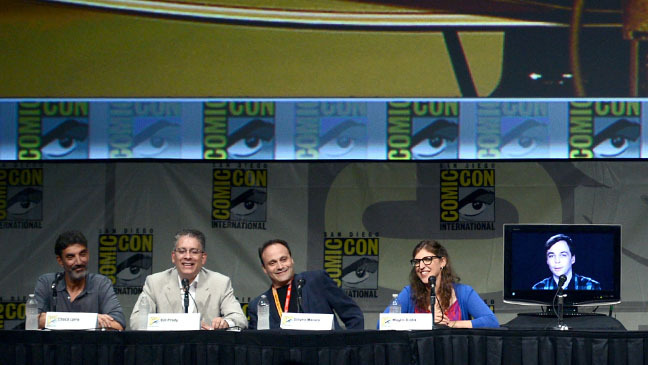 Anna Torv became teary-eyed when describing her favorite scenes in the series, Nicole’s performance in “Making Angels.” Lance Reddick actually became so choked up as he discussed Astrid’s conversation with her alt-universe version before returning home to her father that he almost couldn’t describe it. Joshua Jackson took a different tack when describing his favorite moment, a scene in “Snakehead” where Walter pulls a long, wormy creature from a body. The effects were so convincing that Jackson hadn’t realized the body was a mockup and not a real person, and nearly lost his lunch during the initial take. More information on the Doctor Who panel here and here. News on True Blood here. Ben Kingsley is playing the Mandarin in Iron Man 3. 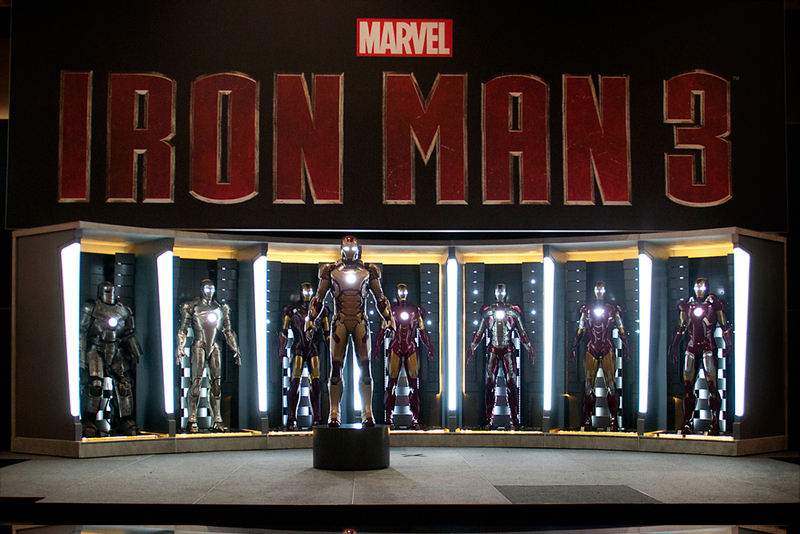 More on Iron Man here. Release date is May 3, 2013. The title of Thor 2 will be Thor: The Dark World with a planned release date of November 8, 2013. Captain America 2 will be titled Captain America: The Winter Soldier, suggesting Bucky will be brought back. Target date for release is April 4, 2014. Notes from the Batman panel can be found here. NPR’s Weekend Edition gives an audio tour of Comic Con here. Earlier news from Comic Con can be found here.